Will fit tall blocks with use of Weiand spacer plate kit 925-8206. Holley Intake Manifolds are designed to provide a broad powerband across the RPM spectrum to allow great driveability from the street to the strip. 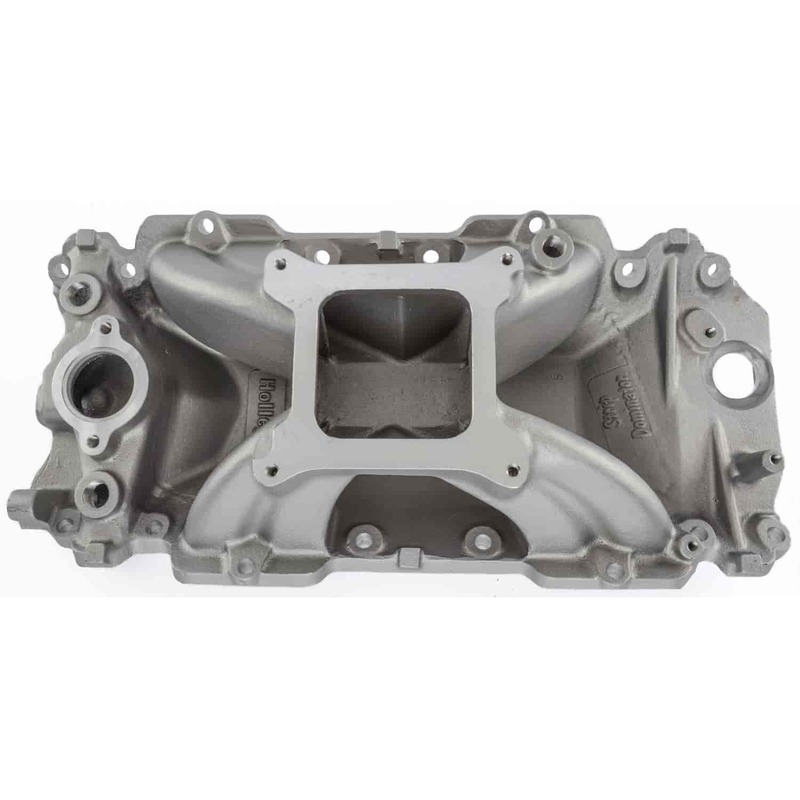 Each cast aluminum intake is designed to mount on factory-style blocks and accepts most stock hardware and accessory brackets. All intakes have application specific mounting flanges and engine applications. Review the individual specification of each intake to find the correct choice for your specific application. Does Holley 300-4 fit your vehicle? 300-4 is rated 3.0 out of 5 by 2. Rated 1 out of 5 by Chevelle 427 from Very dissapointing Had a BBC Holley Strip Dominator that was 15 years + old and loved it. Old one was cracked at a water outlet hole and had the usual age, oxidation etc. so I wanted a new one. Everything looked ok until I was doing the dry install for port matching and alignment and found the water transfer ports now had way smaller casting bosses around them compared to my original and it was so bad the actual gasket embossed seal was sticking out in 2 ports (see pics). Fixed and blasted my old original one and have it back on the car again. Another example of "don't make them like they used too" sad to say here.